Temecula, the oldest community in California still known by its original name, has a unique new monument honoring its first visitors and inhabitants which sets the town apart as one of the state’s most historic spots. Ground breaking ceremonies for the monument took place at 1 p.m., Aug. 14, on the grounds of Temecula’s old school house just west of Front St. near the entrance to Rancho California. 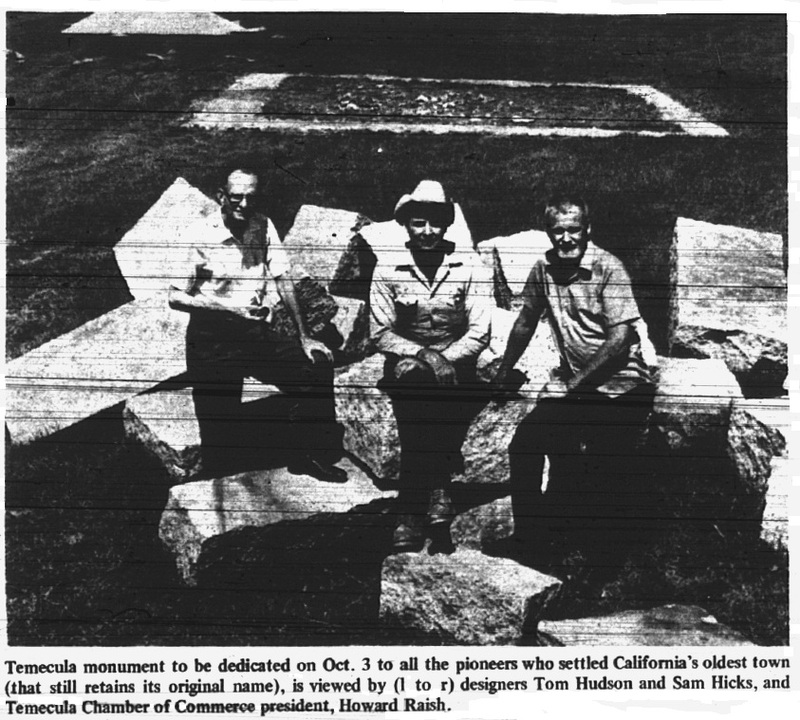 The monument, when completed, will have a base 20 ft. square and approximatley three ft. high constructed of granite blocks taken from historic Temecula quarries. On the base will stand a 20-ton boulder towering more than nine feet in the air. On the face of the boulder will be carved names of early explorers who passed through Temecula, Indian chiefs’ names, and name of pioneers who settled in the valley. Guest speaker at the ceremony was Tom Patterson who is with the Riverside County Historical Society and a reporter for the Riverside Press Enterprise. He talked about Temecula and her glamorous past. The project is sponsored by the Temecula Chamber of Commerce with Howard Raish as president and Sam Hicks as chairman of the Historical Committee.